At All About Fence, we recognize the need for reasonable boundaries around your property for a variety of reasons. Contacting the professionals for residential fence installation, service & repair in Everett could be the perfect answer for enhancing your property and sense of security. It goes without saying that a quality fence marks boundaries, but it does so much more. It makes a statement about the kind of house it surrounds while also providing a handsome background for landscaping features. When installed correctly, a good fence can also delineate the area for which the homeowner is responsible as the groundskeeper. Your selection of a fence will not only make or break the overall look and feel of your property but it can also help to give you more privacy. This is why it is so important to seek the help of professionals to make sure you get the right type of fencing to fit your budget but to also meet your needs. At All About Fence, we are proud to say that we offer a fine selection of sturdy fences in a variety of beautiful styles to blend in with any sort of aesthetic or landscape. We will be more than happy to discuss with you the type of fence that you want to have installed around the perimeter of your home territory as well as any of the embellishments or features you are hoping for. Whether you want the homey appearance of the traditional white picket fence, the privacy of cedar panels or the elegance of wrought iron, we have a fence for you. 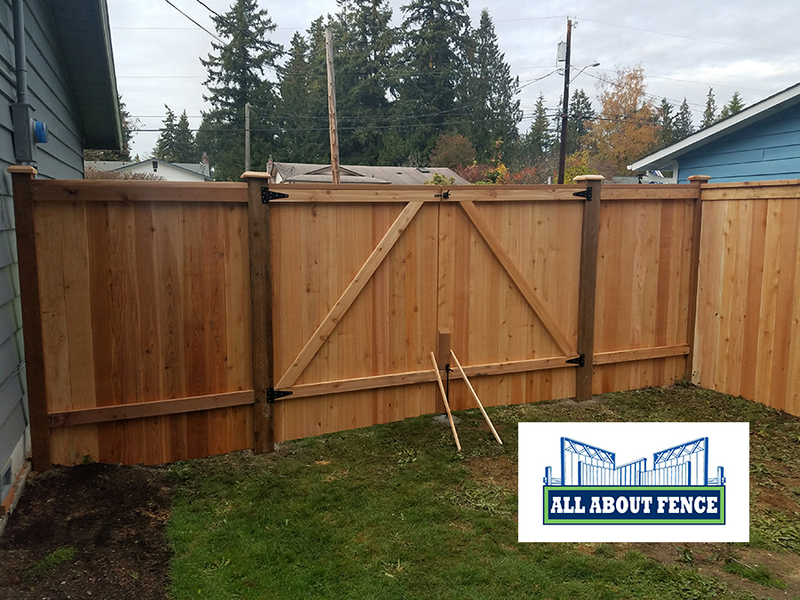 If you need residential fence installation, service & repair in Everett, simply give our team at All About Fence a call at (425) 268-9779. All About Fence. © 2019 All Rights Reserved.